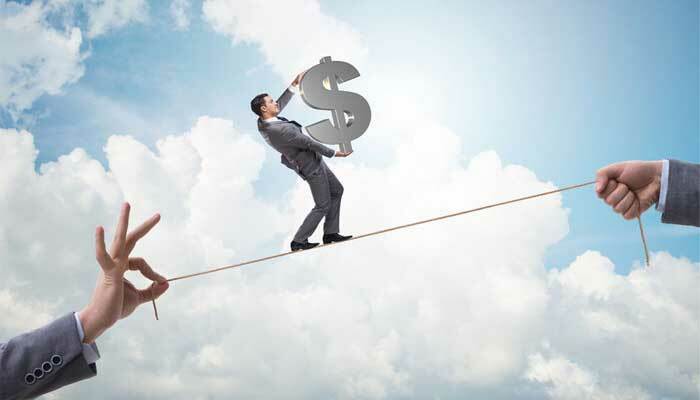 What are the Qualities of High Risk Merchant Accounts? Instabill believes that all legal and legitimate businesses deserve a fair chance to accept credit cards online, even those working within the card-not-present environment. Our trusted network of offshore and international acquiring banks allows us to provide high risk merchant accounts to a wide range of e-commerce industries. Businesses are deemed high risk for several reasons, such as low sales volume, poor or no credit card processing history or high chargeback ratios. Nevertheless, Instabill prides itself on matching high risk merchant accounts with the ideal banking solutions. Fewer tax restrictions: Fewer tax restrictions lead to more application approvals for merchants in high-risk industries, such as online gambling or adult products and services. Multiple currencies: Offshore credit card processing enables your business to accept payments in multiple currencies. Instabill’s payment gateway processes payments in more than 160 currencies. Popular currencies include the Great Britain pound, Australian dollar, Swiss franc, Euro and Canadian dollar. In addition to many domestic and offshore banking solutions, Instabill has a vast network of resellers, international and domestic, which provide Instabill and its merchants even more options to place high risk merchant accounts. Instabill specializes in matching hard-to-place merchants with the ideal banks for their business. Through a partnership, Instabill can offer a solution that enables high risk merchants to offer anonymous payments to consumers by the use of a gift card (such as Apple Store, Amazon and even Target or Walmart). Firstly, merchants must place the widget of our partner on their checkout screen, the way they would Visa, MasterCard, or whatever card they accept. Secondly, he customer is directed to purchase a gift card from any of the brans listed above. The customer buys the Apple Store of Target gift card for the necessary amount and enters the gift card payment through the widget by keystroking the gift card number and pin. The merchant then receives the payout in either an ACH transfer or cryptocurrency of the proper amount (Note: there is a 48-hour funding window). Our anonymous payment solution is ideal for merchants in the industries of gambling, adult content, online dating or even online pharmaceuticals. Banks often assert monthly volume restrictions on high risk merchant accounts. By processing with Instabill, high risk merchants can conduct business without the worry of volume limits. Instabill believes live customer support rather than automated machines, is the proper way to conduct business and assist clients. We actually deactivated our live chat feature roughly one year ago, preferring to offer support via telephone. We strongly prefer merchants and prospective merchant partners to have an initial phone conversation prior to sending our pre-application. It enables us to get a better feel for your business, your needs and goals. Within 10 minutes we’ll know which one of our acquiring banking partners is the best fit for you, and we will proceed to guide you through the approval process. Our merchant support does not end with the approval, however. We remain on hand as your consultant for the life of your merchant account relationship with us. 3D Secure Processing: 3D Secure processing requires cardholders to enter a password to verify their identity, which shifts the liability from the merchant to the credit card issuing bank. SSL Certificates: Secure Sockets Layers: SSL certificates are two-layers of encryption for security. When you see your web address begin with HTTPS (Hypertext Transfer Protocol Secure) and appear in green or blue text, it properly working and secure. When a customer clicks on the indicator, they can actually look at the details of your SSL Certificate. PCI DSS Compliant Payment Gateway: Instabill’s expert team of developers hand-crafted our payment gateway to ensure our merchants will always experience secure payment processing. Our PCI-compliant payment gateway is also quick and easy to use. Merchants will benefit from being able to screen their transactions and search for specific orders by date, transaction type, and volume. If you need quick, easy and secure payment processing solutions, contact Instabill and speak with a friendly merchant account specialist about our high risk merchant accounts today at 1-800-314-2713.